Make an investment in tomorrow's artists today. Your contribution allows us to provide the highest quality experiences for our young artists. To discuss your gift, call (407) 646-2253. Tuition revenue, subscriptions, and ticket sales provide only a portion of our annual production budget. We depend on our generous donors to offer the highest quality productions, classroom spaces and equipment, and experiences for our young artists. Consider a financial contribution to our Friends of the Theatre fund. For your convenience, visit our online giving page. 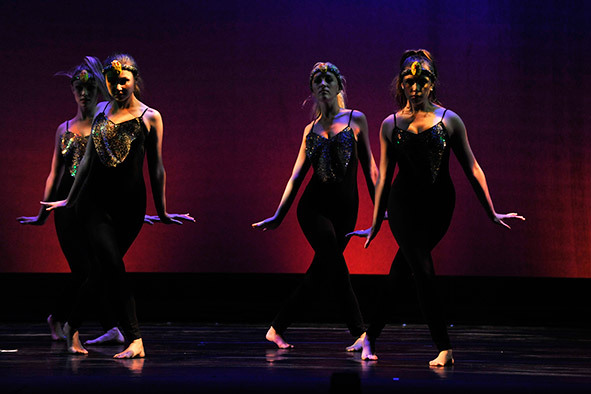 Join the Annie Russell Theatre Guild, formed in 1998 to promote and support the Annie Russell Theatre and the students of the Department of Theatre and Dance. The Guild connects with our students through such traditions as the Closing Day Picnic and the annual Alpha Psi Omega dinner, as well as through grant-making and marketing activities. Organize a group to see a show at the Annie. One of the most effective ways to make a difference is to fill Annie's house with enthusiastic theatre-goers! The Annie itself was a gift from a dear friend to its namesake. That spirit of giving is carried on by our generous donors. We are grateful for our 12 Angry Jurors reception catering sponsor, Hunger Street Tacos! And huge thanks to our Avenue Q reception catering sponsor, Roque Pub!